This highly favorable perception of the Nordstrom consumer brand has always come in handy for the recruiting team and helped with finding great retail talent. In the past few years, however, the priorities of the team have expanded and so have the challenges for filling diverse roles. 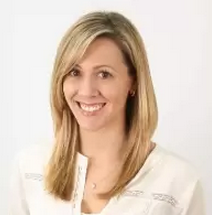 At Talent Connect San Francisco, I was lucky enough to chat with Mary Porter, Nordstrom’s Director of Talent Acquisition, about Nordstrom’s talent acquisition evolution at both the retail and corporate levels. Below, I've listed the new ways Nordstrom is appealing to and engaging with talent in sales, technology and beyond. Walking in and applying for a retail sales job or a management internship in-person is so last season (or several seasons ago). 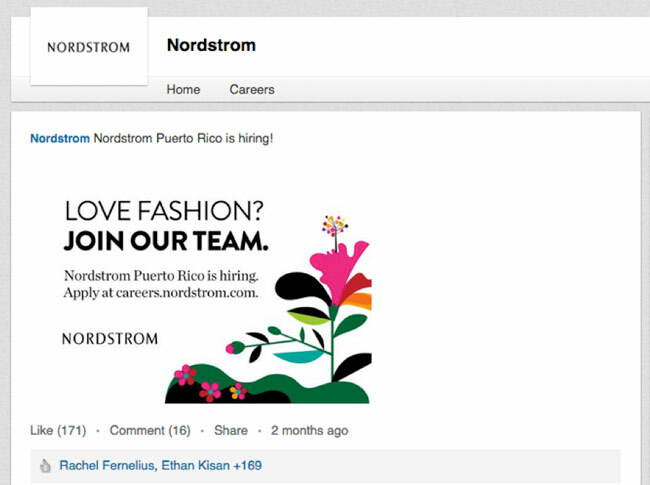 When Nordstrom was preparing to open its first international locations in Puerto Rico and Canada, the company promoted its storefront opportunities online and focused on finding talent through social recruiting tactics. Nordstrom turned to its LinkedIn Company Page and started sharing posts with fashion-forward and motivational messaging to target the ideal candidate. 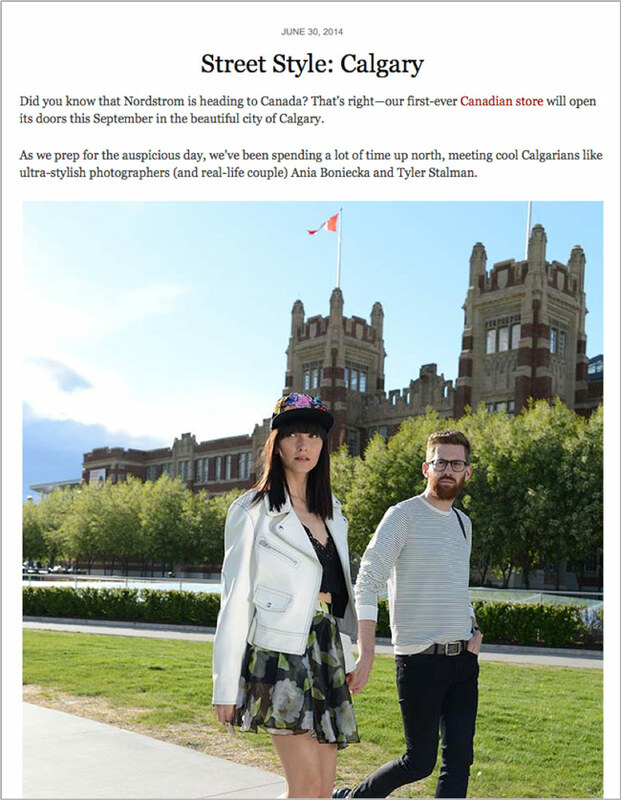 For their Canadian store openings, they made Nordstrom top-of-mind by posting street-style posts on their company blog. And, to keep prospective candidates interested after the doors opened, they shared videos capturing and celebrating the electrifying experience of a store opening. They lifted the curtain, showing what it’s like to work at the company. For example, they developed a series of tech internship videos that show the meaningful and compelling work engineers and designers are doing and feature the employees themselves. They support local women in tech programs, like Ada Developers Academy. Since retail employees are mostly women, it seemed a natural fit to invest in attracting female developers..
Mary’s team took a proactive approach to interacting with the tech community by hosting hackathons. 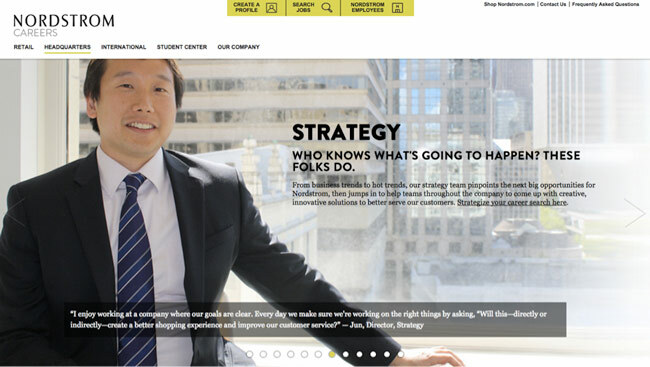 Nordstrom has a very strong promote-from-within culture and this has lead to stellar talent retention rates. However, the company is also prioritizing hiring external talent for its corporate jobs in order to keep innovation going. Nordstrom evolved their approach to attract and find 9-to-5 chic candidates by increasing their talent branding and passive recruiting efforts. To make these hard-to-fill roles more appealing to corporate professionals, they spotlight current employees on the company careers site and in video testimonials. Prospective candidates see an authentic glimpse into the company culture, and get to know their prospective coworkers on a more personal level.